This is an easy recipe but require only a bit of patience to be in the oven and than to cool down but otherwise it is easy. 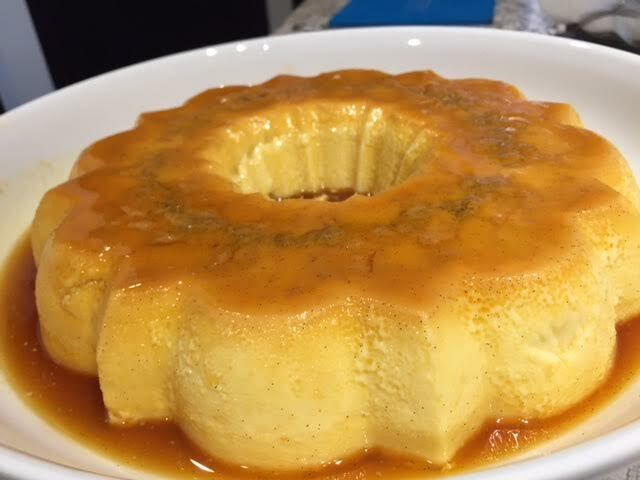 My husband days ago cried for ” pudim de leite moca” that is a very typical dessert in Brazil that you can find anywhere. But in Canada not a very simple find, I only ate at Portuguese Pavilion Folklorama in Winnipeg, ” the largest and longest-running multicultural festival of its kind in the world (as determined in 2010 by CIOFF, the International Council of Organizations of Folklore Festivals and Folk Arts)” I heard that Filipino community also has their own version but my Brazilian friend who ate said it is not really the same ( I have to try myself one day ) but it reminds him of our Brazilian Pudim de leite Moca. This is an adaptation of my grandmother recipe, I had done my changes along the years. Yesterday we had very nice Brazilians guests in our house, they lived in Winnipeg for couple of years than moved to Vancouver, so I thought that Madalena and Marcelo would like to have a taste from our homeland. The truth is once you eat one spoon you might want another one. In these photo album you will see how to look like having one recipe and 2 recipes. 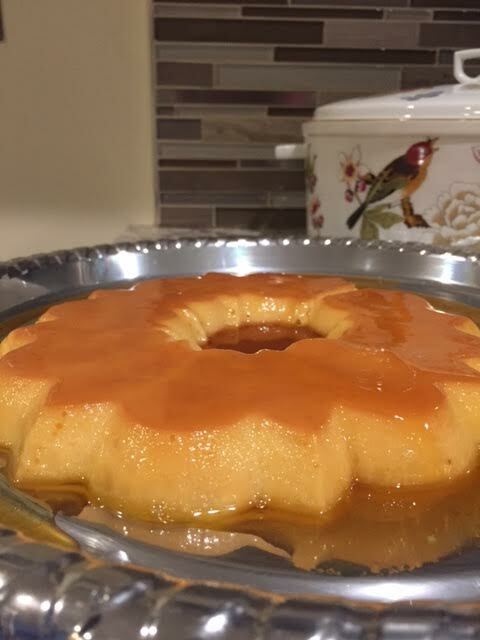 If you want 1 recipe just cut the ingredients in half but keep the caramel part the same. 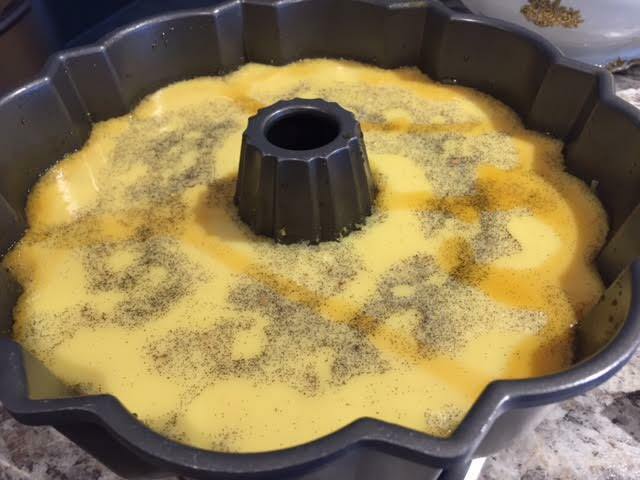 You first need to have a Bundt pan (300 × 263) or 300 × 300 or 225 × 225 basically it is a cake pan with a whole. I have a platinum Ring Mold Pan, 10 Inch. for the Caramel you need a regular pan where you will melt your sugar. first add the sugar in a pan and put on low heat, wait to melt and get its caramel color and mix with a wooden spoon. Once it is all melted, add one cup of water. Add the vanilla bean and the Spiced Rum in that stage Than you have to wait all that caramel that will get it hard to melt again and stirring once in a while until it thickens. In this process could take from 10 minutes to 20 minutes ( don’t forget to remove the vanilla bean in the end) while you re waiting please head out to the pudding mixture. Once the Caramel is ready make sure you pour into your Bundt pan and get the caramel to cover each inch of the pan, use wooden spoon to help and use some silicone cloves to hold the pan while you re moving the caramel around, that is needed in order to not burn yourself, the hot sugar can heat up the pan in seconds. Now wait the pudding mix to be ready. 1/2 seeds of one vanilla bean. Use your mixer to get all ingredients well mixed for about 1 minute. I would suggest you let this mixture rest for 10 minutes until the bubbles settle down. That is to help to get a soft and smooth pudding texture. 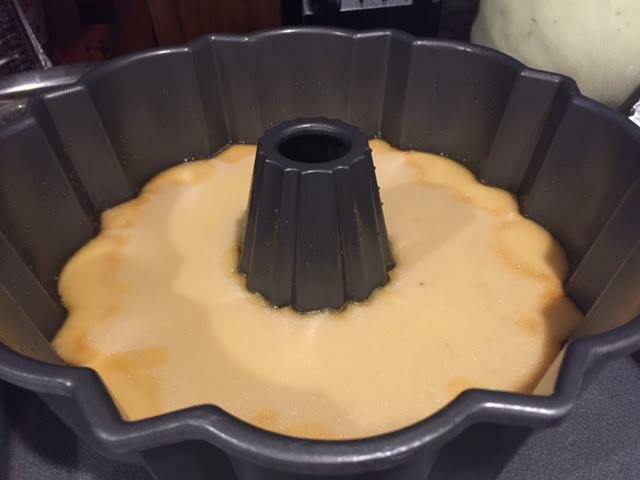 Separate a second baking pan that can get in the oven and fit under your Bundt pan. Because we need to cook in a boiling water bath for an hour and 1/2 ( bain-marie). Put water to boil in another pan, about 1 liter. 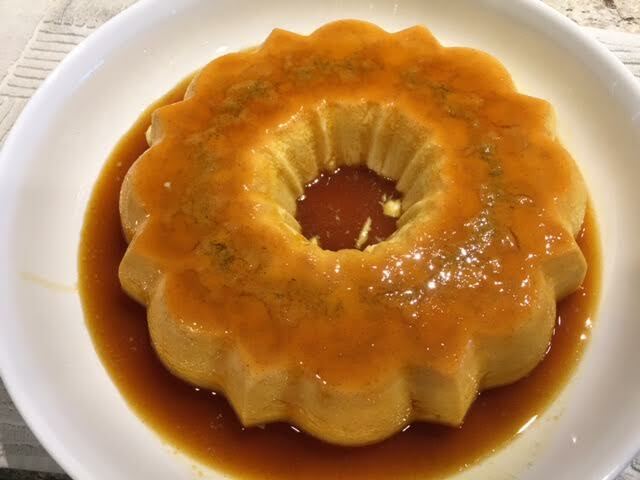 Than pour the caramel into the Bundt pan, make sure all the caramel cover the Pan, use a spoon if necessary until it attaches to the walls of the pan, including the whole. Add the pudding mixture, than cover with aluminium foil, put the Bundt pan on top of the extra baking pan and take to the oven. Once it is well set on the upper tray you need to pour the boiling water on baking pan so it can cook in Bain Marie for one hour and 30 minutes. Once the time comes up turn off the oven and let it sit for extra 15 minutes than remove it. Use yours hands and gentle move the Bundt pan side to side and try to get the melted caramel to detach from the Bundt and you will notice that the pudding is ” swimming” on the caramel, make sure all the corners are detached so your pudding don’t break when you move to a separate tray. Choose a container that has space for your caramel , use one that can hold it well. 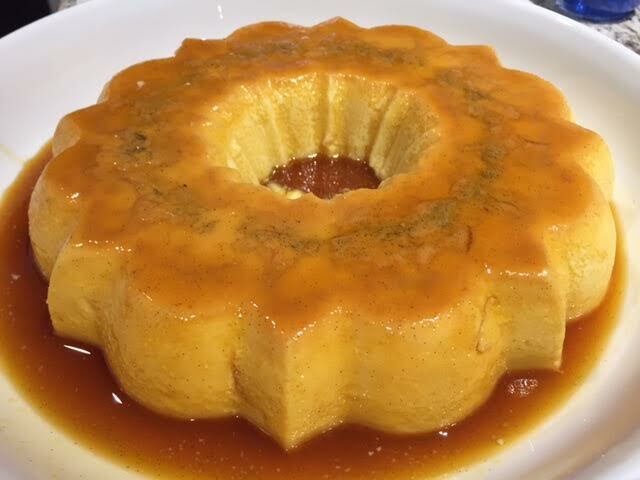 You want to serve your pudding with the a good portion of caramel. Put in the fridge to cool down for 2 hours.